Ready for a Photo Flight? Flight suit, negative. Helmet, nope. High level of Skill, yep! 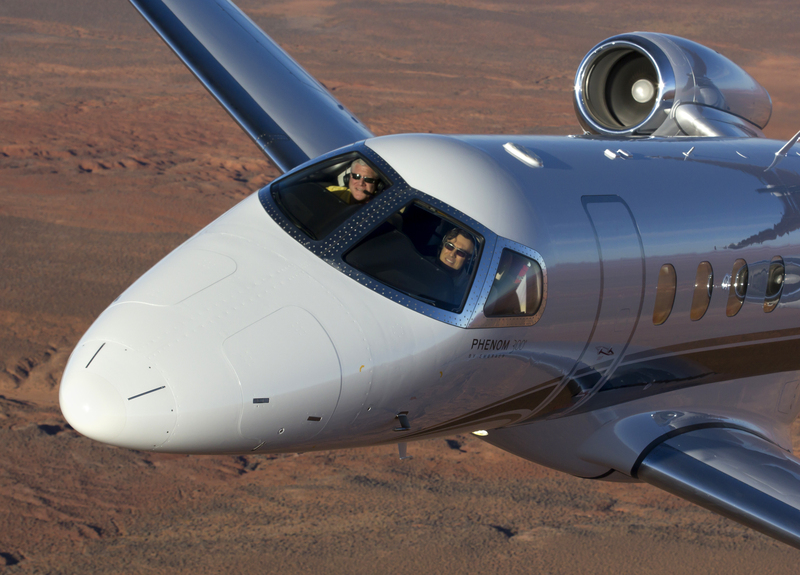 Photo flights and formation flying in business jets will require a level of skill not found in most business pilots. During my pilot career with the United States Air Force which included a two year tour with the Thunderbirds F-16 demonstration team, I had many opportunities to enjoy jet formation flying. After transitioning to civilian business jet flying, the flight suit and helmet were put in the closet. 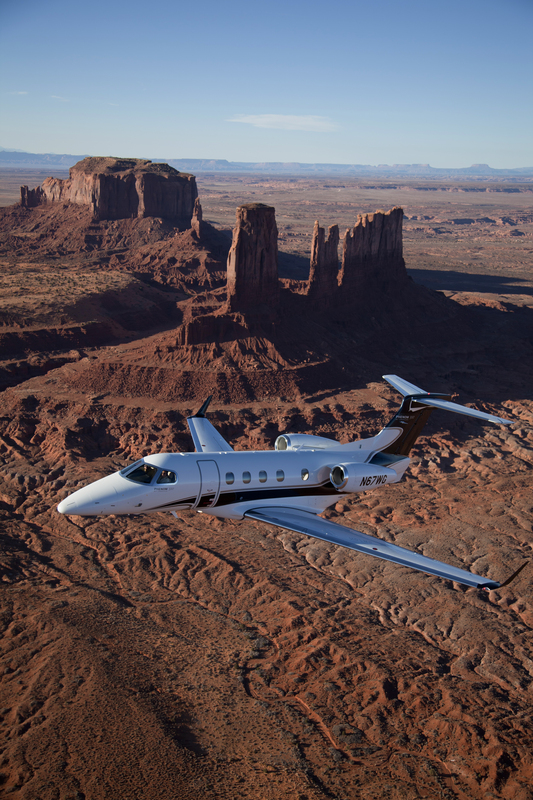 When I recently received a call from one of our clients who asked if we’d fly his Phenom 300 over Monument Valley, UT while renowned photographer Jessica Ambats flew in a photo ship and captured both still and video of the flight, I was delighted to do so. Photo flights represent the biggest formation flying risk. By definition, a photo flight is a formation flight, but many pilots don’t even consider this fact. As a result, pilots with zero formation experience will still fly a photo mission. This leads to an unorganized process where briefs are often poor and not followed. In the air, pilots will attempt things beyond their skill level, because of photographer requests or because the camera pointed at them minimizes their situational awareness. Other complications include dissimilar aircraft with very different flight characteristics and a constantly changing formation, with aircraft moving in and out of formation to be on- or off-stage. Don’t be tempted by the exciting air-to-air photos and try it yourself. Close formation is something that must be thoughtfully and thoroughly planned and briefed to a level of detail that goes well beyond the normal trip. Having flown hundreds of flights in close formation with as many as seven other aircraft, this trip was second nature, a pleasure to fly and our client was happy as well. Give me a call if this is something you’re thinking about. I can recommend photographers who will not only capture your aircraft and the setting you desire but will only employ experienced formation pilots to fly the photo ship.